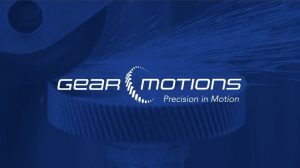 Gear Motions has a brand new set of corporate videos ready to share with you. We’re excited to not only be able to tell you but also show you what our company is all about, and what high quality products and services we are able to provide as a leading precision gear manufacturer. You’ll find the new videos placed around our website and on our new YouTube channel. In Gear Motions: Precision Gear Manufacturer, you’ll be introduced to Gear Motions and learn about who we are and what makes us unique. You can learn more about what we do in Gear Production Capabilities and how we do it in Gear Manufacturing Services. We believe these videos accurately show who we are as a company and what we can bring to the table as your precision gear manufacturing partner. We hope you’ll make Gear Motions your first stop for your next gear manufacturing project. Contact us here! Like what you see? Please show your support by liking and sharing our videos with your networks. You can also subscribe to our new YouTube channel to stay up to date with new video content from Gear Motions.